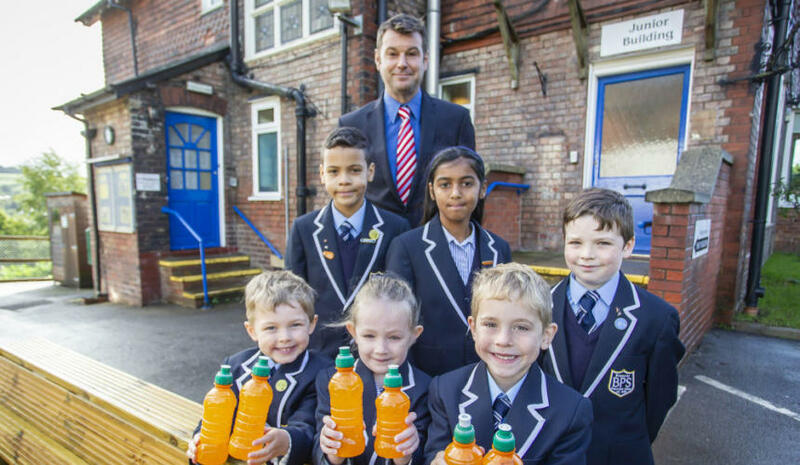 Children at Brabyns have returned to school this month in brand new blazers – made from recycled plastic bottles. The school is an Eco-School, meaning we are committed to actively addressing environmental issues, from litter and waste recycling to healthy living and biodiversity. The award-winning Eco-Uniform range by leading school wear manufacturers David Luke uses a unique process which turns plastic bottles into school uniform. The Brabyns Eco-Blazer will prevent approximately 2,250 bottles going to landfill. David Luke’s Managing Director, Kathryn Shuttleworth, said: “We have been manufacturing and distributing uniform supply throughout the UK and beyond for over 35 years. During that time ethical trading and environmental responsibility has always been at the core of what we do so to be working with specialist school outfitter’s such as GR Wear to help Brabyns Preparatory School switch to our Eco-uniform is a privilege.